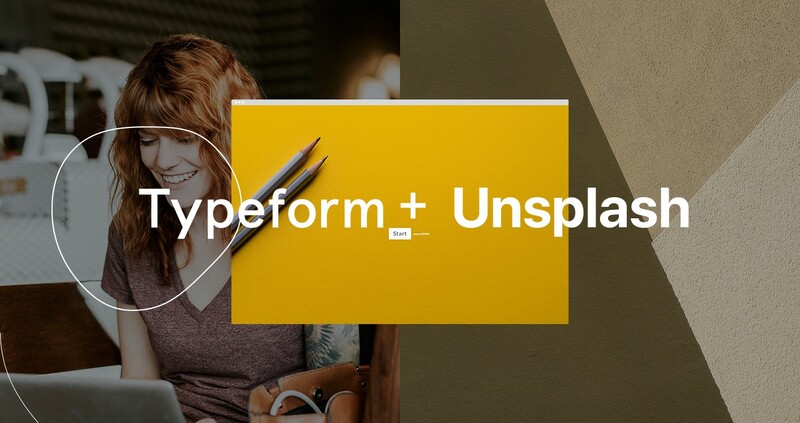 Over 450,000 beautifully curated photos on Unsplash are now available in Typeform. Typeform is an online platform for collecting and sharing information, making it easy to ask and answer questions. You can use Typeform to create anything from forms, to surveys, to polls, without writing a line of code. It’s one of those special tools that’s not only useful but fun to play with. At Unsplash, we’ve used Typeform since the early days to help us plan community events, collect information, and even run larger-scale data studies. But Typeform just got even better. You can now add Unsplash photos to your forms simply by clicking the “add image” button (as a background, Welcome or Thank You Screen, and Picture Choices, for example) to access the Unsplash photo library, searching for a particular photo, and inserting it to make your Typeform even more visually appealing. While searching for a photo, the photo credit links back to the photographer’s Unsplash profile, allowing you to see other work contributed by this photographer. Typeform’s goal is simple: turn data collection into an experience. How? Give empathy-driven brands a versatile tool for asking questions in a friendly, conversational way.